Doris P. Meister oversees M&T Bank’s Wealth Management business, including Wilmington Trust Wealth Management, M&T Securities and Wilmington Trust Investment Advisors. 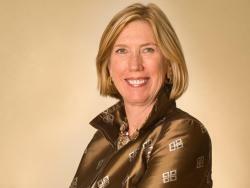 She also serves as a member of M&T’s Management Committee. Meister has more than three decades of experience in financial services and executive management. Prior to joining Wilmington Trust in 2016, she served as president of US Markets for BNY Mellon, was managing director of the New York office of Bernstein Global Wealth Management, founded and headed the Private Banking and Investment Group at Merrill Lynch, and headed the Private Bank at FleetBoston. She started her career at McKinsey & Co., Inc. where she was a member of the Financial Institutions Practice Group. She holds a master’s degree in finance and marketing from The University of Chicago Booth Graduate School of Business and a bachelor’s degree in economics from Smith College.